The client lives near a noisy (and busy) set of train tracks. 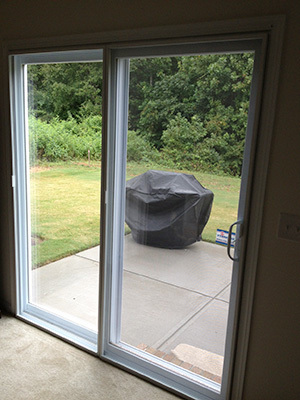 These glass sliding doors, in addition to her standard double-pane, double hung windows, were a major source of sound infiltration into her home. Climate Seal Acoustic Series inserts were chosen to drastically reduce her sound problem that was attributable to the doors and windows. The acoustic inserts were divided aesthetically with a vertical mullion that aligned with the door frame. The passive door slides from right to left. Our unique sill pad option is shown along the carpet. 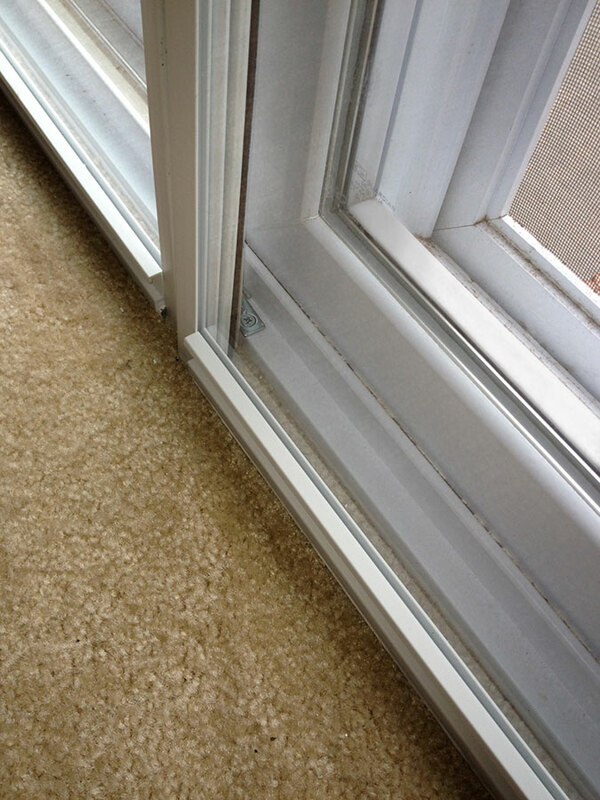 This option eliminates the need to install a metal l-bracket onto the carpeted floor, which would create a trip hazard. 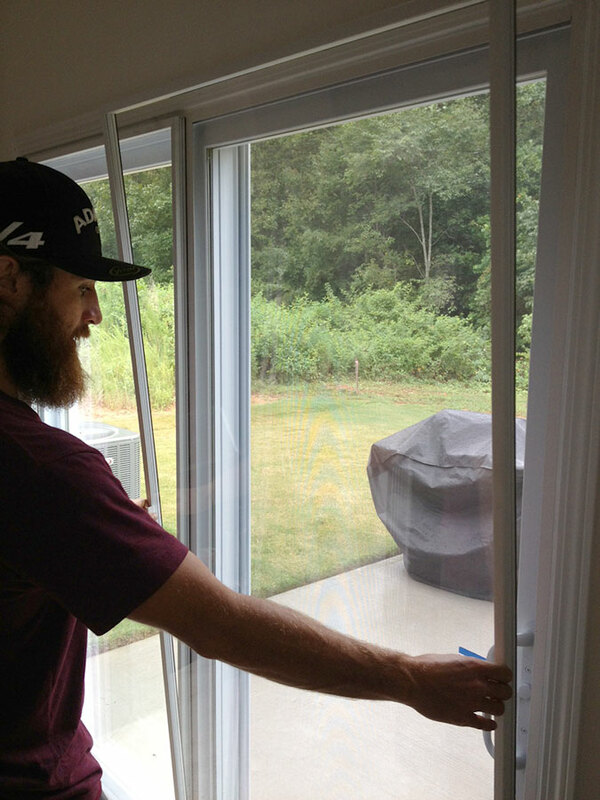 You can also see the installation of our T-bar vertical mullion, which allows our Climate Seal system to be split for easier handling on larger units such as sliding patio doors, French doors, and double or triple wide window configurations. 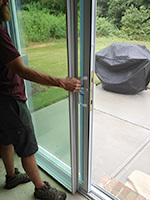 Here we see the operable panel being removed so the user can gain access to the sliding door for access to the patio when needed. 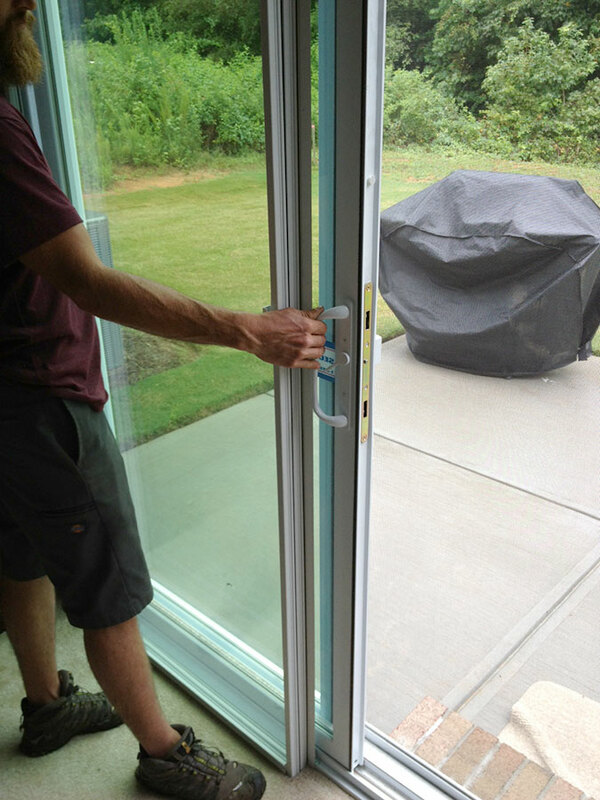 Our Climate Seal acrylic panels are half the weight of glass, so removing and moving either unit is safe and easy. Two hands are advised when handling the inserts for easy removal. Since the passive door panel needs to be removed for access to the outside patio, it also needs to have a place to be stored when not in use. Our self-storing feature allows removable panels to be “stacked” on top of stationary panels, which eliminates the need for additional storage and can be quickly re-applied when sound protection is desired.